Yes foxy is the word that I would have suggested if you had not eluded to it Jane :) Still it looks most attractive and perhaps the aroma will lessen or your nose will get accustomed to it. I do hope that the dreaded lily beetle stays clear. 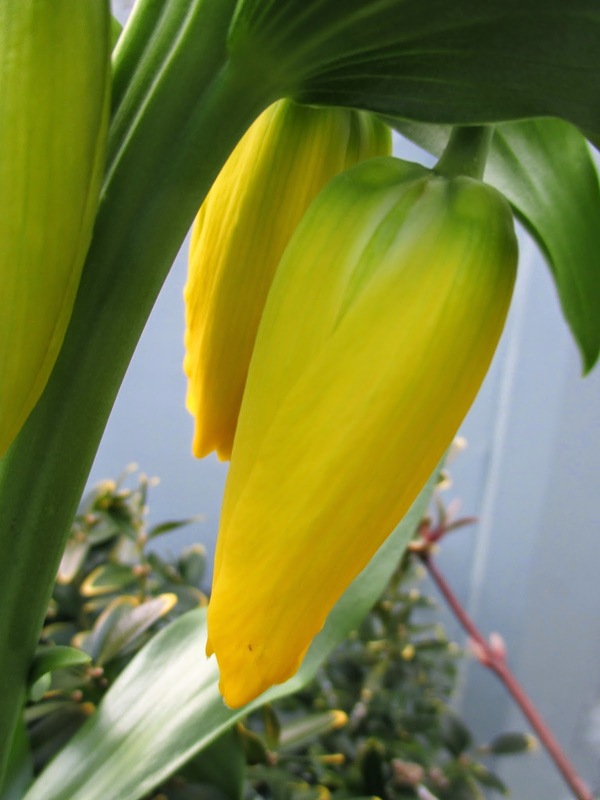 I'm waiting for a white martagon lily to emerge and will be mounting a round the clock vigil. Hi Anna, I don't know what a Martagon Lily is, so will have to look it up! I do hope your vigil is rewarded! They are just not pleasant are they? I made the mistake of planting a few pots of these an a small border that used to be next to the front door, they didn't last long! Still, I hope you enjoy your new addition and that those lily beetles stay away Jane. I've almost got a post together, I'll be back midweek with my link. Hi Angie, excellent - I will look forward to reading your post and seeing what caught your eye! I can't smell it now, so I don't know if I have got used to it, or the wind is carrying the foxy smell far far away! 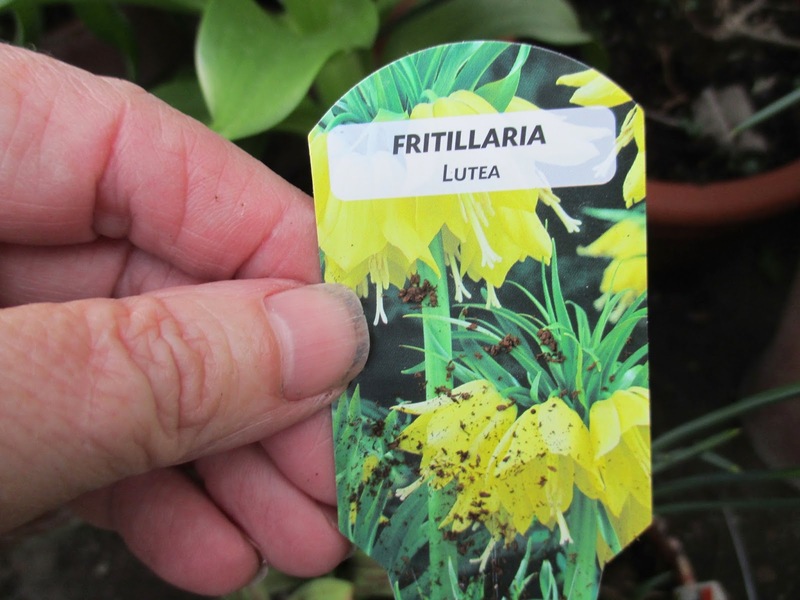 I didn't expect the fritillary to have an odour. No doubt lily nettles follow their noses. Hi Sue, I must admit that I was surprised! I think I would have expected a sweet, lilyish perfume, if any! Yes, definitely a foxy smell but they are so pretty. 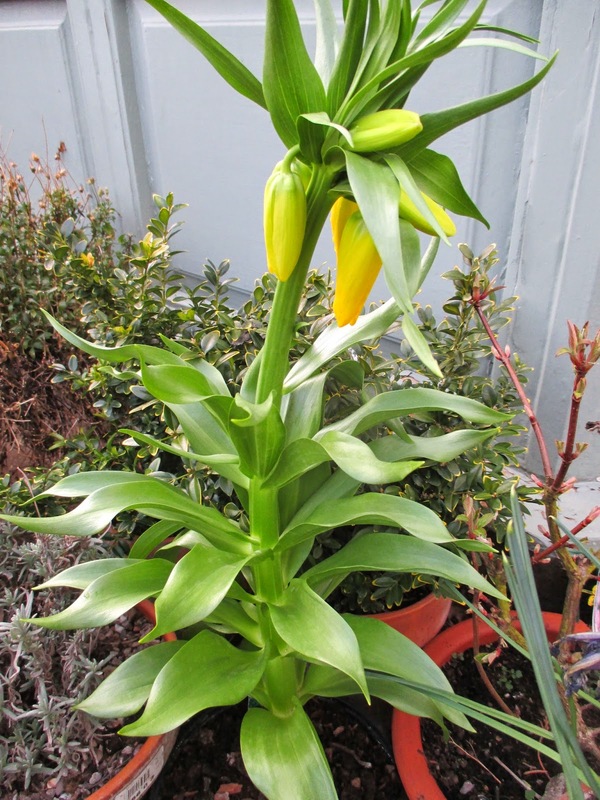 What your label should have said is that this is a Crown Imperial, Fritillaria imperialis. You can get them in orange too and red. Very pretty. Mine aren' t out yet. Hi Chloris, thanks for that! 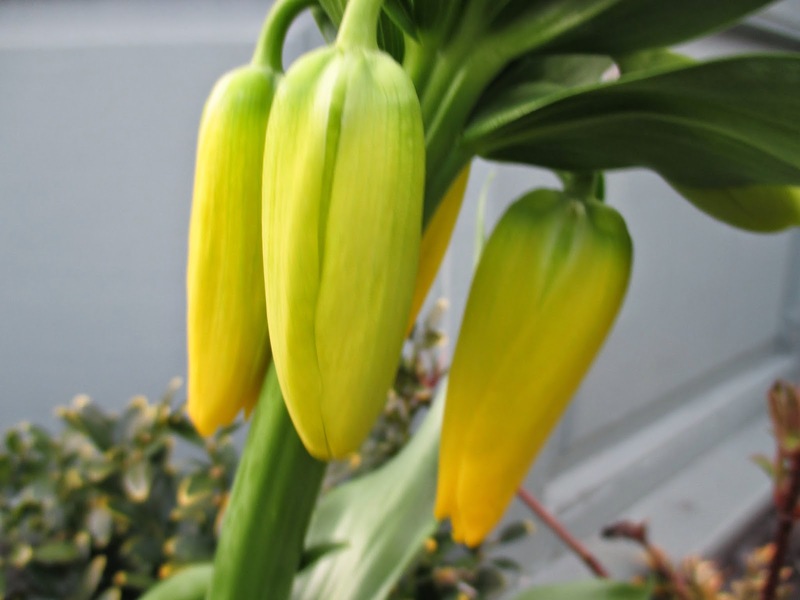 I didn't know if it was actually a Crown Imperial, as it didn't say so on the label, and I wasn't sure if Crown Imperials are Fritillaria Imperialis, and whether that is the same as Fritillary Lutea. I did debate between the yellow and the orange, and probably would have gone for the red, if there had been any at the nursery. I know what you mean about revealing lack of willpower to the world!! Despite the 'Perfume' and lily beetle they do add a wow factor to a border. You will have to look out for 'Rex' next. Yes, good choice for your purchase this month. It does, indeed, look healthy and vigorous. Great blooms AND foliage with this one! 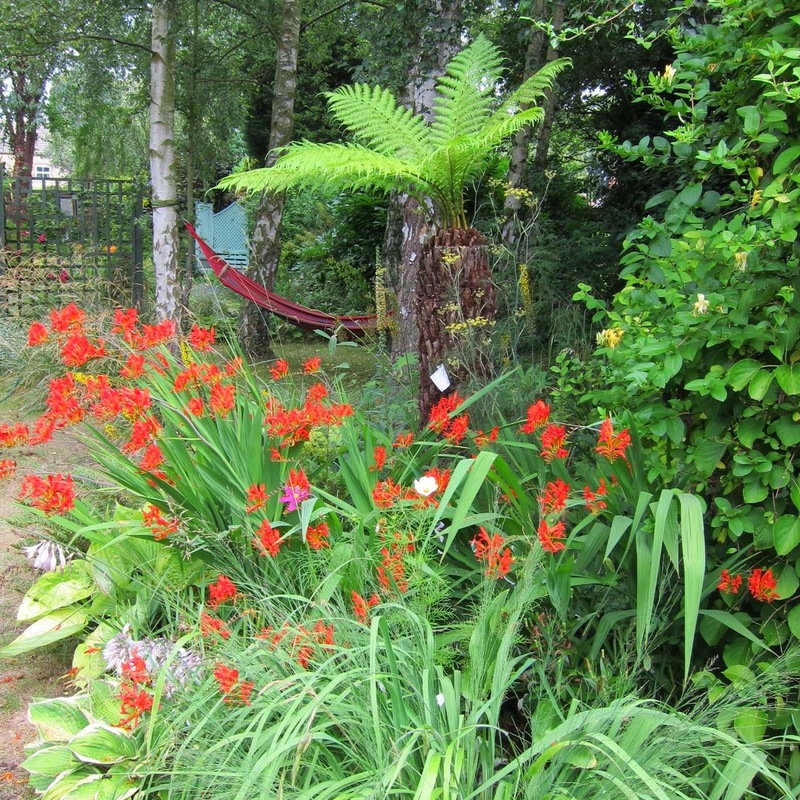 Hi PP, the foliage looks ridiculously healthy, which is no doubt why it is so attractive to the dreaded Lily Beetle!! 'Lily beetles' was my first thought, I do hope your dramatic March purchase escapes. But so hard to resist something so exotic in appearance and bright in colour at any time of year, and particularly now, when we have been aching for more colour for months, it seems. Enjoy, glad to hear it is less stinky in the garden! Hi janet, I seem to remember the Lily Beetles appeared solely to eat my 'Snake's Head Fritillaries' last Spring, so I will will not be surprised to see them emerge for a task snack on my new addition! 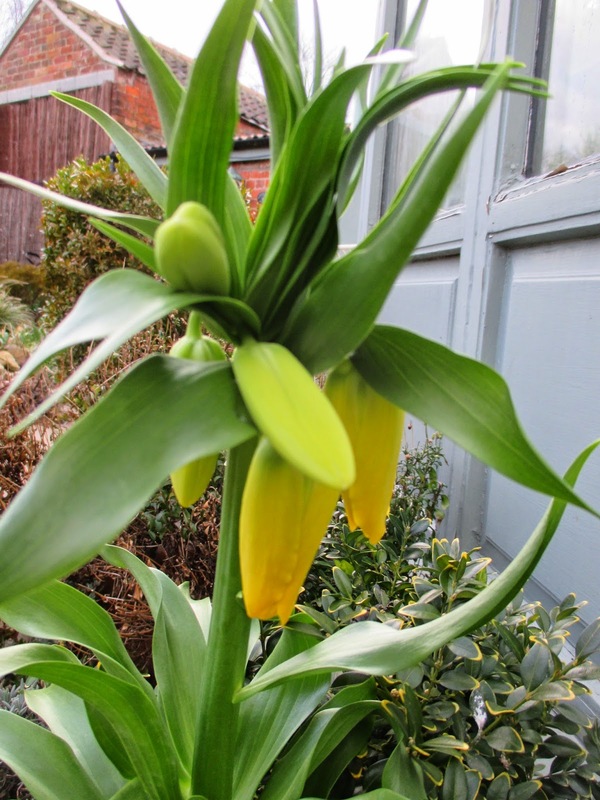 It is a lovely plant Jane but mine are decimated by lily beetle every year, they were grown from bulbs, which are best planted on their side apparently, but I have never had one flower due to the extreme damage caused when they emerge. I do hope you are more fortunate with yours in the future. Thanks for comments, Rick, that is very interesting. I didn't know the bulbs are planted on their sides. Those crazy Lily beetles just think of ways to outwit us, I am sure ! Had no idea lily beetles liked these flowers but I tell you, if you have a deer problem they'll leave these alone. I used to have a garden that the deer used like a banquet and bought these plants as I heard they wouldn't touch them. That smell isn't attractive but the flowers sure are and the deer can't stand them. Hi Marguerite, deer aren't a problem here, but I know they are for many gardeners, and so it must be great for them to be able to grow something which looks so exotic, but that the deer won't eat. I noticed that I seemed to have made the same comment 3 times above Jane. I was using my phone to read, I think that may have been the problelm. I've deleted them now. Here's my link for this months post. Hi Angie, a fantastic choice for your monthly purchase. 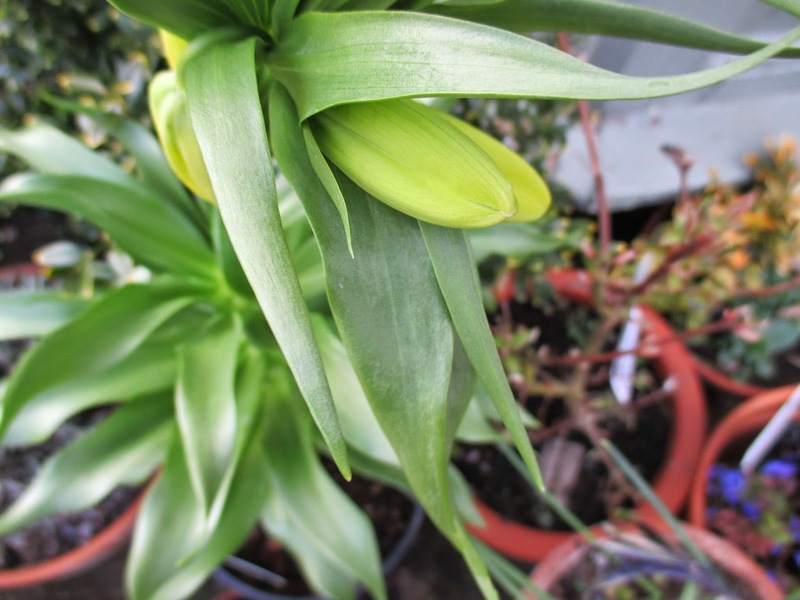 I look forward to seeing them in full flower too, as they look lovely in bud. Thank for the mention and the link ! I think my squishing finger and thumb will be overused in keeping number s down ! i only spray very very occasionally if I am in danger of losing something ! This is a plant I've never grown before but I did know about the foxy smell, I don't suppose it will be as noticeable once it's outside in the ground. I get lily beetles on my snakeshead fritillary so I suppose any member of the lily family is fair game to them. 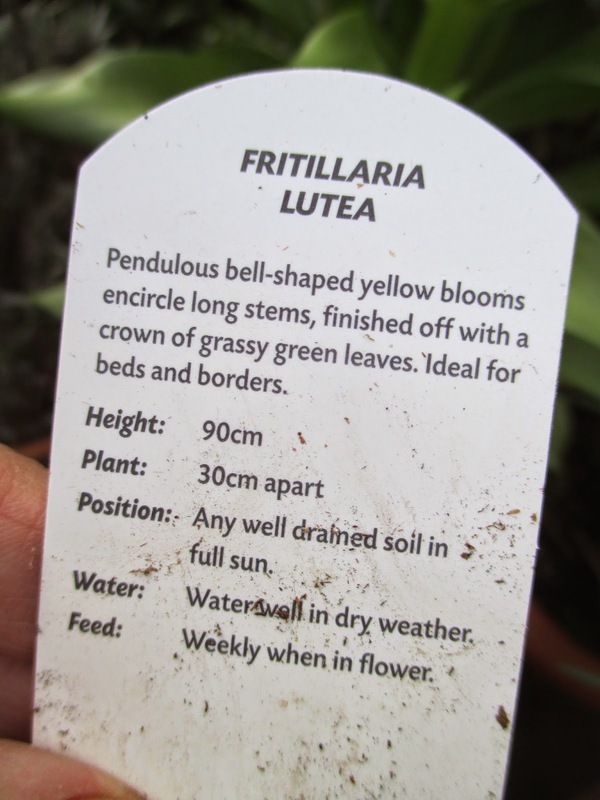 They're quite exotic looking plants though so I'm sure this will be a welcome addition to your garden. Hi Jo, I can't smell it now it is not in a confined space, so it is not a problem. It is too cold for Lily Beetles at the moment, but once it warms up... I will be waiting ! !